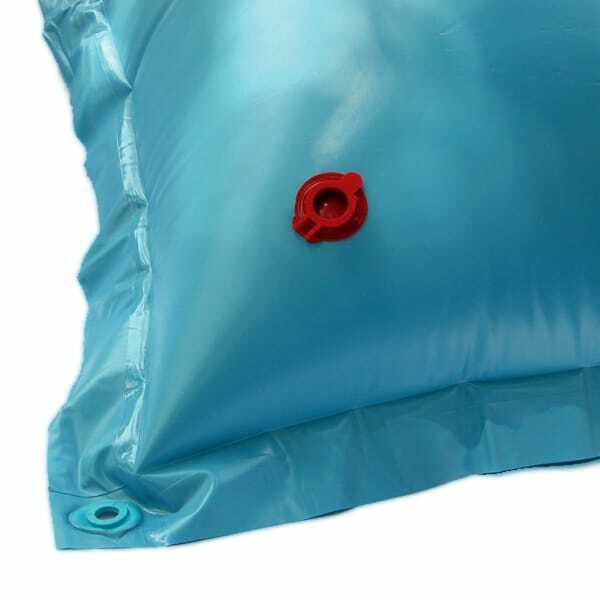 The Winter Air Pillow is inserted underneath a pool cover to absorb pressure of freezing water in above ground swimming pools. In addition, it pushes gathering water to the perimeter of the cover, instead of allowing it to gather in the center. To install, simply inflate the pillow with air and tie rope to each eyelet or use The Pillow Pal. Secure the pillow to the middle of the pool and put the winter cover atop. Adding 1-2" of water to the top of the cover will help to hold the pillow in place and hold down the cover.